With every passing year, new trends and patterns emerge and become apparent in web design around the world. As the use of theme market places and templates becomes more commonplace in web design, and advanced design elements become more popular, many web designers are more and more using the same user interface (UI) elements. The high popularity of the WordPress CMS platform and theme marketplaces to purchase highly advanced WordPress templates, certain common UI patterns are becoming extremely common and easily recognizable. We have seen these used not just in Las Vegas web design but for businesses and brands everyone. Here are the top five commonly seen UI patterns in web design. 1. The “Hamburger” Menu: Currently most people are familiar with those three horizontal lines that appear so often in the corners of web pages. This is the most common way to minimize navigation menus to fit on smaller screen sizes so they are not obtrusive to the user's browsing experience. 2. Multiple full-screen sized elements: Apple.com may not have been the first website to use this technique for displaying content, but it has certainly popularized it. The tech giant known for selling their high quality mobile phones and hardware helped popularize this web design trend which is characterized by using full-page sized images, minimal text blocks, and clean open layouts. When you scroll down a webpage and notice that it is divided into individual sections that are each focused on a single product or service and you need to scroll down an entire page length to see another similar section that uses large images and a small amount of text, then you know what we're talking about. 3. The Long Scroll: At this point, placing most of the important elements of your web page above the fold (part of your webpage seen first by visitors) is common knowledge. A great way to add more information to your homepage is to utilize a long scroll layout style, which people are getting more accustomed to seeing thanks to their popularity on mobile devices. 4. The Card Layout: Pinterest and Amazon users will be familiar with the card layout used by these popular websites. Cards are becoming a popular format due to their ability to display small snippets of important information in small chunks. The best part about the card layout is that their rectangular shape makes them simple to rearrange as your design dictates. 5. Heroic Imagery: A powerful image on your website’s home page is one of the best ways to grab the attention of your visitors. The most common pattern we’re seeing in website design is to add an eye-catching hero image at the top with a card-based layout underneath it. 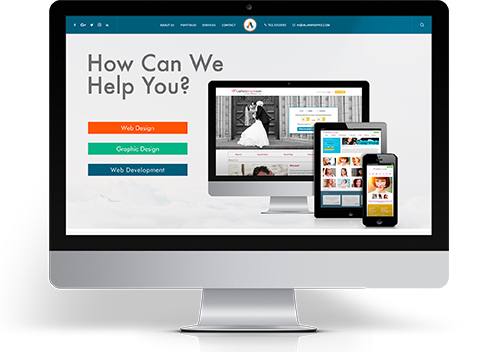 Your website design is key to your user’s experience with your brand or business. While these trends might not seem like the most unique way to grab people’s attention they are tried and true working methods that have been tested millions of times and either receive positive customer feedback or have been shown to improve conversion rates for desired customer interaction goals. For more on how to get the most out of your website design, check out the services we offer at All in Web Pro.